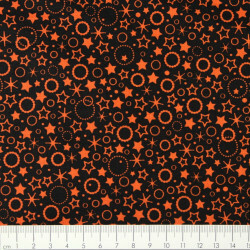 Planet fabrics in endless space Motives and color variations, so to speak a whole Flickli fabric universe full of cotton fabrics stars flying around in the Galaxy fabric. We love the star and sky stuffs Space and all the planets. Here you will find, if you are looking for material with motives with star, planets, rockets, astronauts, space, space, and everything in the cosmos is looking for. 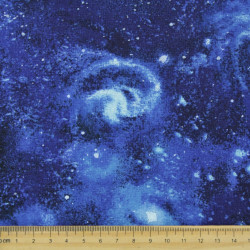 In our fabric category star fabrics and universe cotton fabrics for the infinite worlds for Galaxy fabrics, you are guaranteed to find something. 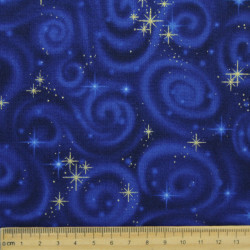 Since we simply can not get enough of these space motif cotton fabrics, there are regularly new fabrics with Galaxy motifs in the Flickli space fabric. 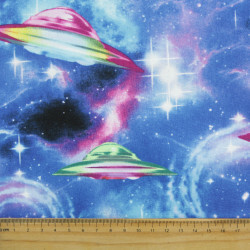 Your fantasy worlds have no limits, infinite space for everything to sew on. From a cushion with a planet, over patchwork blankets with a star motif to a nursery curtain with space motif or a playmat with sky, clouds and sun motif fabric. 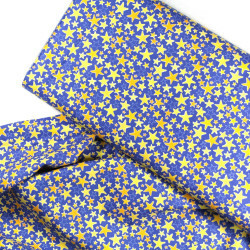 Everything is possible and through the high-quality designer fabrics our Galaxy cotton fabrics can be combined with each other super. 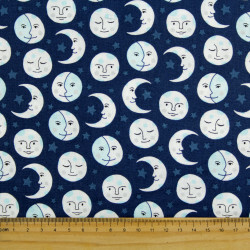 One more beautiful than the other, so why not just sew a huge Space Quilt from everyone? But you probably already have a concrete idea for the next DIY sewing project. 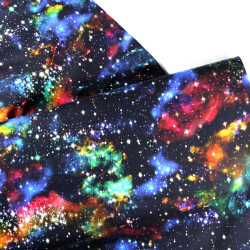 And if not, let yourself be inspired by the great outer space fabrics with different sky motifs. 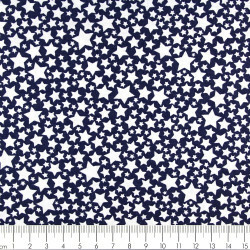 Whether large or small, elaborate or simple, the high-quality star cotton fabrics are the right material for sewing, quilting and patchworking. It depends on the quality of the fabric, so that you enjoy your self-sewn things as long as possible. 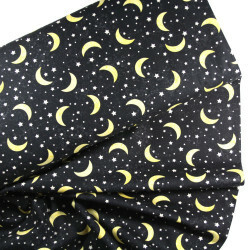 With us you can be sure of the quality of the fabric, because we only offer high quality designer fabrics. 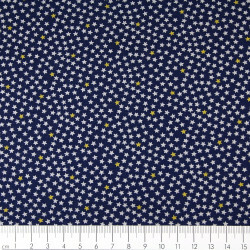 The super quality of the fabrics is characterized by a number of positive features that are already noticeable during sewing and later on wearing. For example, the color stays strong after many washes and the weave is regular and does not warp. In addition, of course, the positive wearing and Anfass feeling, because all our fabrics are light, soft and have a beautiful drape. Our Japanese universe fabrics made of sturdy sturdy cotton, our canvas fabrics or linen fabrics are not hardy or feel like boardy. The motif fabrics with the universe motifs are immediately absolutely timeless as new. 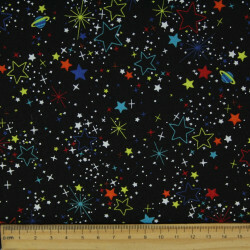 Star fabrics do not go out of fashion and the fascination of the universe either. 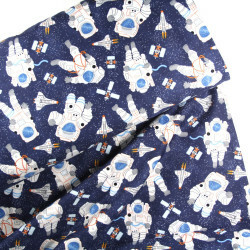 With these motifs you will not only get a good impression of aerospace enthusiasts. 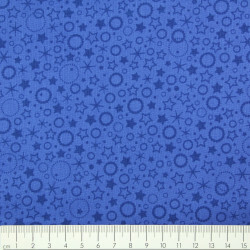 Timelessly beautiful fashion fabrics and children's fabrics in a variety of blue tones from subtle blue to bright colorful. 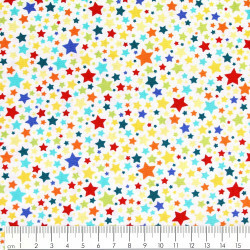 From the universe fabrics by Robert Kaufman fabrics with detailed planets and comets in various shades, to solid Cosmo universe fabrics with shooting stars in the galaxy over various little stars and stars fabrics by Michael Miller in endless colors or the Milky Way is the whole designer star fabrics Space represented. 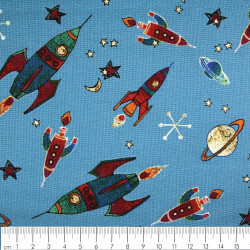 Cotton fabrics from Kokka Trèfle Rockets in comic style with astronauts, rockets, spaceships and pace planets in canvas quality. 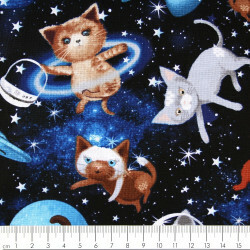 Funny flying cats in space fabric by timeless treasures fabrics or classic night sky with stars in the distance, night lights or retro space, spaceship and rockets in blue in total retro astronaut style. 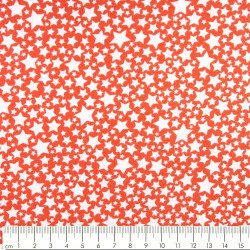 Stars in all ages as cotton fabric for children and adults, clouds, sky, sun moon and stars, as well as the whole category star fabrics and universe cotton fabrics, because the universe fascinates not only the little astronauts. All of our Japanese fabrics and US designer fabrics are well-suited for high-quality color fastness and weave, both as decorative fabrics and as apparel fabrics. 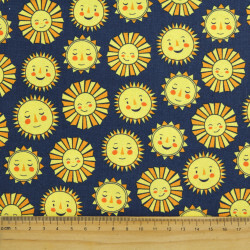 Whether self-sewn cushion cover, as a bag, dress or curtain, the joy with the planet fabrics is guaranteed to be great. 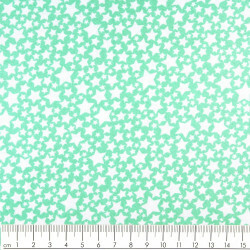 Flickli.de still has room in the fabric universe, so look regularly in the growing world of fabrics category star fabrics and universe cotton fabrics and you'll find what you're looking for on the hunt for the stars. 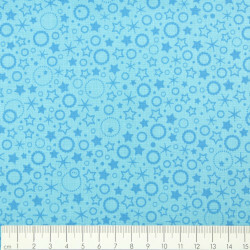 Star fabrics and outer space cotton fabricsThere are 28 products.